The first new-production K-Max made its first flight in May. The first new-production heavy lift Kaman K-1200 K-Max made its first flight on May 12. It is the first of two helicopters slated for delivery to China's Lectern Aviation next month for firefighting missions. New-production K-Max helicopters have been ordered by customers in China, North America and Europe. In April Kaman announced an additional order for two K-Max from Rotak Helicopter Services of Anchorage, Alaska for deliveries expected next year. Through the beginning of this ﻿month, the order book for new production K-Maxes stood at eight. Kaman intends to keep its new K-Max production line open through at least 2019. The K-Max was certified in 1994 and the production line was shuttered in 2003 after 38 were built. A dozen have been written off due to accidents. The helicopter can lift up to 6,000 pounds externally and is powered by a single Honeywell T53-17 turboshaft flat rated to 1,500 shp (takeoff). 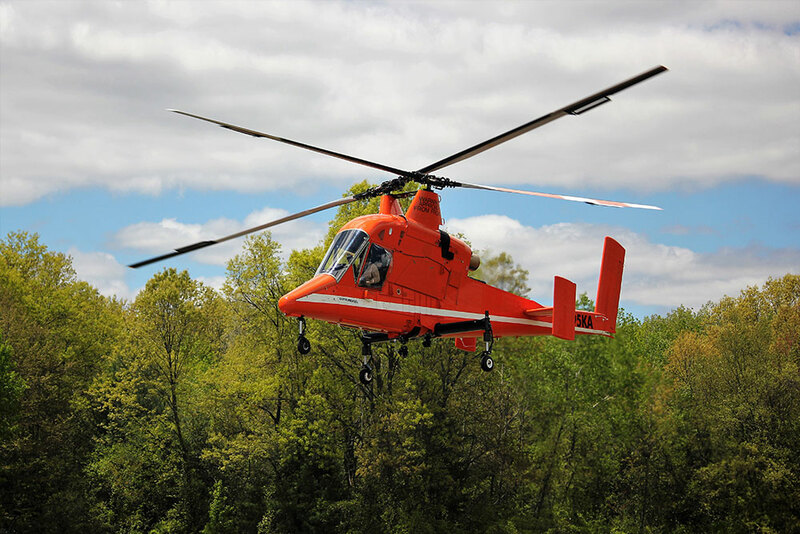 The single-seat K-Max features a countra-rotating intermeshing rotor system, is optimized for external load operations, and designed specifically for vertical reference flight. The U.S. Marine Corps maintains two unmanned K-Max aircraft developed with Lockheed Martin. These aircraft successfully supported the U.S. Marine Corps in Afghanistan for from 2011-2014 carrying more than 4.5 million pounds of cargo. Additional unmanned firefighting and humanitarian missions for K-Max are also being developed and tested. During a demonstration in 2014, an unmanned K-Max lifted and dropped more than 24,000 pounds of water onto a target fire in an hour.